Over the years as locomotives have been developed and made more powerful it has been necessary to aid traction by putting the power to the rail on more driven wheels. In the early years many locos only had a single powered axle with other wheels to add support for the weight of the loco. Initially the favoured layout was to have a six wheeled loco with a pair of axles coupled together and the third as support. When locos get longer, bigger and more powerful they run on more axles many of which are coupled together. One of the largest locos built were the Russian AA class 4-14-4 with a coupled wheelbase of 33 feet as you can imagine they struggled to keep the loco on the track whilst going round curved tracks. The solution to this problem is to build an articulated loco. Below are some of the methods used by various designers to get powerful locos to travel on curved tracks. The other costly solution to the problem is to provide many smaller locos running together. Antole Mallet had the concept of taking a large single locomotive similar to normal practice and splitting the rigid wheelbase by having the front engine articulated. The forward power unit pivots at the front of the rear power unit that is part of the normal loco design. 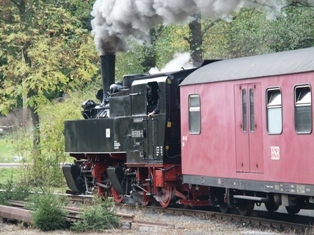 Locos can be designed to carry the water in tanks or in a tender. Robert Fairlie was a Scotsman who took out a patent for his design of double ended articulated engine in 1863. This type of locomotive is essentially two joined back to back sharing a common firebox and controls in a central cab. The power bogies pivot underneath both boilers. 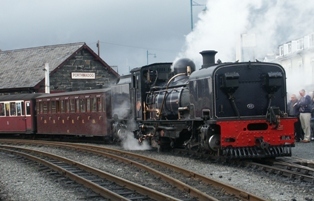 A very famous location that uses this type of machine is the Ffestiniog Railway in North Wales they also have a replica of a single Fairlie design. The Single Fairlie (named Talesin) loco looks like a normal loco with the exception that the powered wheels are in a bogie that pivots under the boiler and the rear of the loco is supported on an un-powered bogie. In 1907 Herbert William Garratt designed and took out patents for this type of articulation. There are three sections to a Garratt loco. In the middle is the boiler on a rigid frame, this is supported at each end by the power bogies. These bogies pivot towards the end of the frame allowing the boiler to have a firebox to the maximum dimensions permitted within the loading gauge. Most of Garratt's patent locos were built by Beyer Peacock at Gorton in Manchester and are often described as Beyer Garratt locos. When Beyer Peacock were struggling financially the last NGG16 2-6-2+2-6-2 2' gauge locos were built by Hunslet-Taylor (in South Africa) with boilers supplied from Hunslet in Leeds. These are listed in our loco database. Jean Jacques Meyer was a locomotive builder based in Mulhouse in France and built a prototype Meyer articulated loco in 1868. The Meyer form of articulation is a standard loco style of boiler and tanks supported on two power bogies. Later the design was adopted by Kitson as a way to compete with Beyer Peacock and the Garratt design. 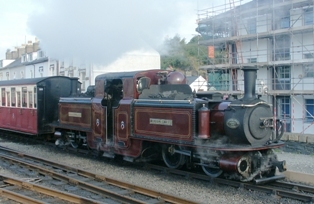 Kitsons modified the Meyer design by spacing the power bogies so that a deep wide firebox could be accommodated similar to the Garratt. Many different Kitson Meyer locos were built some incorporating a tank and bunker and others had a separate tender carrying the fuel and water. A few of these locos survive in South America where they were supplied. Brian Taylor at the Kirklees Railway built a loco in Kitson Meyer style called Hawk which is one of the most powerful 15 inch gauge locos in the UK. OVS Bulleid designed his Leader articulated loco which could be looked upon as being a development of the Kitson Meyer. It had a few design flaws but with the right development could have been a workable design. Klien-Linder articulation amongst other types looks like a conventional locomotive however there are various complexities between the frames to enable the outer wheels and axles to pivot so as to ensure a flexible wheelbase can travel around tight curves. The Leeds firm of John Fowlers built a few locomotives using this system. Heisler - with this the cylinders are formed into a V under the boiler. Transmission is taken to the bogies via shafting inside the frames. 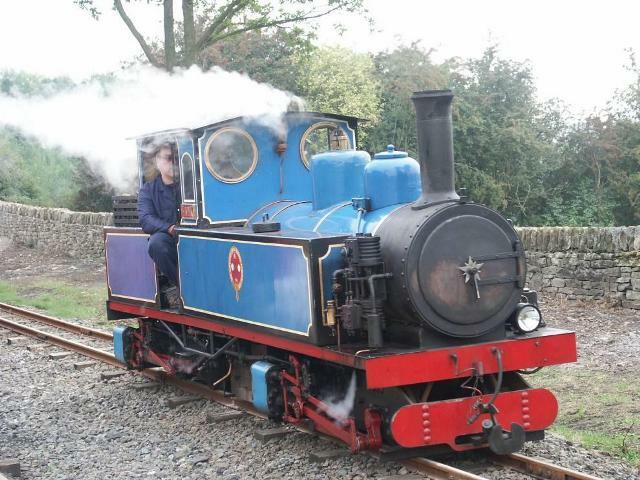 Avonside built a few locos and some the designs were later built by Hunslet when they had taken them over. Shay - these locos have an unbalanced appearance as the shafting and cylinders are located on one side and the rotational motion is clearly visible. Climax - The cylinders are inclined in the conventional position to avoid the movement of the forward powered truck. Transmission is by shafting similar to a Heisler. Photo of Shay at Roaring Camp Railroad California by AM Johnson. Note that each loco type may be more suitable for different applications and must not look upon the Garratt as the best because of the quantities built or the Mallet as the one of the most powerful. Recently on the Welsh Highland it has been possible to compare Mallet, Garratt and Fairlie locos together.